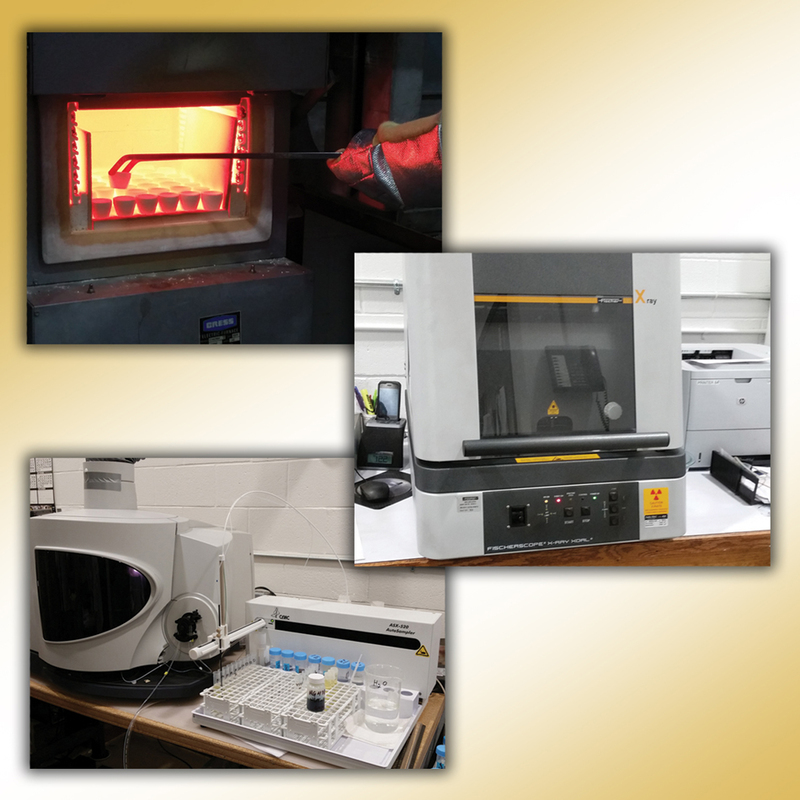 Recognized as one of the most precise precious metals laboratories in the United States, United PMR's state-of-the-art analytical laboratory is proud to service the jewellery industry in the United States and abroad. Both refining and product customers benefit from its advanced services. They perform fire assay, ICP, and X-ray fluorescence testing in addition to other services, including plating thickness testing, Vickers hardness testing, and Macbeth colour measuring. These processes and services are all used to detect payable metals in a refining lot to maximize the customer’s return. These same tools are utilized for internal quality control to ensure each jewellery manufacturing product you buy from United PMR is pure and free from any dangerous metals like cadmium or lead. United PMR's analytical capabilities are just another reason why so many professionals choose United Precious Metal Refining, Inc.
Gold and silver have been used to make jewellery for adornment for more than 5000 years. Early jewellers hammered alluvial nuggets of gold and silver found in stream beds into sheets before cutting them into wires and fabricating. A young couple walks through the glass doors of your store. You know why they have come; the light in their faces, how their bodies casually lean into each other as they look into the cases—it's obvious.